After arriving home for a typical family dinner, all hopes of a nice and quiet meal are crushed as soon as you open the door. 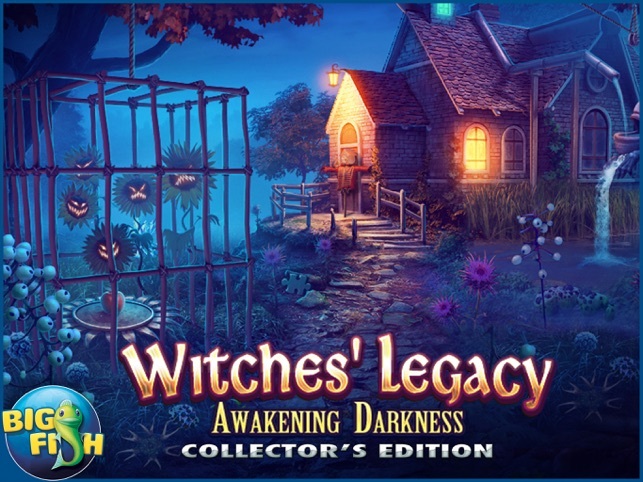 Your mom and sister are under the spell of some mysterious witch, who has awakened a darkness that could destroy your entire family. 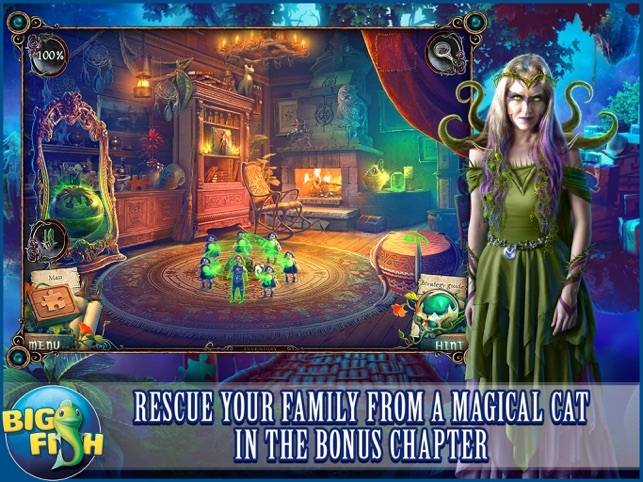 Cassandra the witch has kidnapped your sister for her nefarious plans, and it’s up to you to save the day! 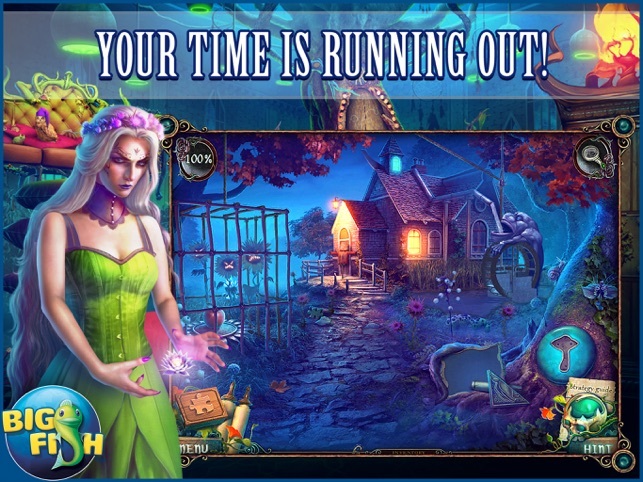 • YOUR TIME IS RUNNING OUT! 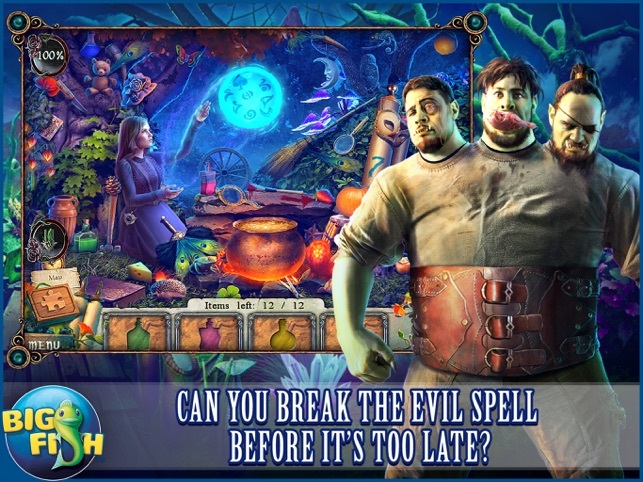 The witches’ spell has you aging at an incredible rate. If you can’t find and defeat this evil sorceress, you’ll be turned to dust in no time! • CAN YOU BREAK THE EVIL SPELL BEFORE IT’S TOO LATE? 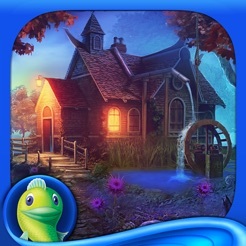 Find the cure for your family through magical hidden object scenes. 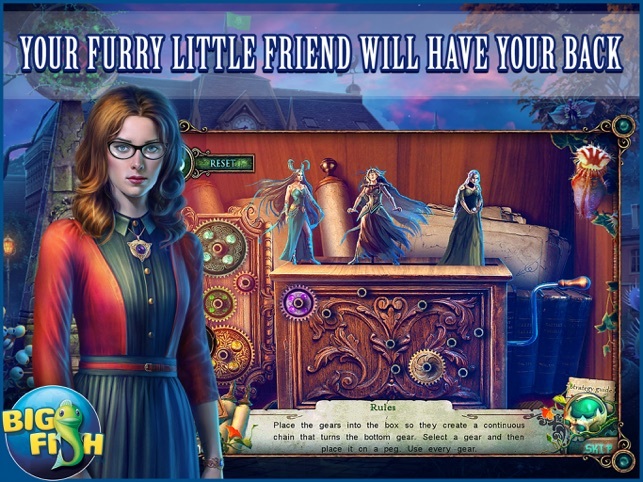 Use the talents of this little ferret to solve magnificent puzzles and spellbinding mini-games. Capture this little troublemaker and enjoy additional Collector’s Edition exclusives including collectible Puzzle Pieces, morphing objects, and more! This game is great for the beginner. It has a good story line, solvable puzzles, great HOP’s, and the strategy guide doesn’t need to be used. It also is quite long if one takes the time to search for puzzle pieces and morphing objects. The only glitches I found were: Once, a morphing object was hidden behind the change screen arrow and very hard to see until you expand the screen. There were several times during HOP’s where finding or placing objects would send me to the strategy guide. The map function is extremely useful although it wanted to send me back to the forgetful clock/toy maker even though all tasks were accomplished. I like the game very much it's keep you busy guessing. © 2017 Big Fish Games, Inc.